Great idea. I'll have to check back for the tutorial. I would certainly be interested in a tutorial; thank you so much for offering to make one for us. 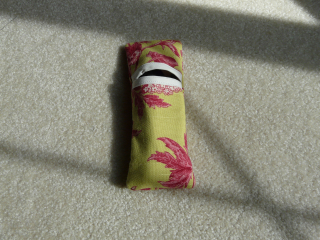 Your sunglass case is great and I love that you made a smaller version for Aidan--that is such a sweet thing to do. I like the sunglass holder! I'd be interested in a tutorial!